Last week Hurricane Michael left a wake of devastation and tragedy that many are still struggling to recover from.1 Our folks in southwest Georgia have been hit hard by this storm. Lots of people don’t have power or potable water and many that do can’t even enter their homes due to storm damage. 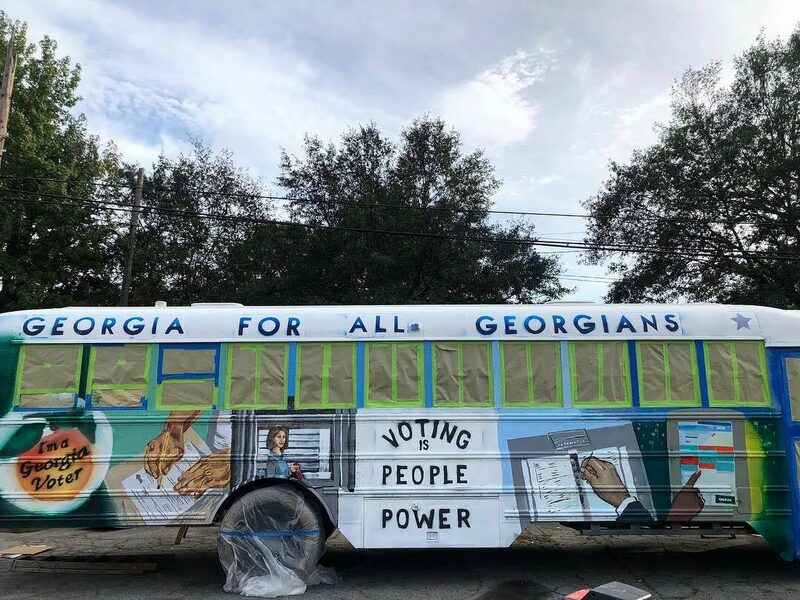 One of the reasons we chose to commit our time with New Georgia Project Action Fund is that they stand with Georgians and rise to the need of the community, whatever it may be. And that’s exactly what’s happening now — but we need your help to make it happen. The best thing we can do right now to support our fellow Georgians is to donate to the New Georgia Project Action Fund relief fund for southwest Georgia. NGPAF loaded up a bus this morning with supplies like water, food, baby formula, diapers, blankets, plastic tarps, cleaning supplies, and other essentials to drive down to Albany and Randolph Counties that have been hit hard by Hurricane Michael. Can you help us come to the aid of our neighbors in need? 100% of your donation will go to the New Georgia Project Action Fund’s hurricane relief efforts. Early voting started this week. We were planning to be out in the streets talking to voters and of course we’re still doing that work, but we’re also making sure that our efforts actually respond to the crisis on the ground so that our folks are ready for whatever comes our way. If you’ve got it, give it. Georgians need you.